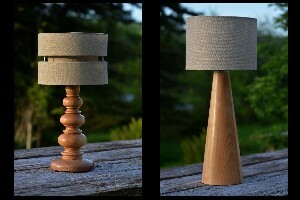 We are a local family woodturning business who create unique hand crafted lamps, candlesticks, home decorations and other wooden gifts in a variety of different woods, designs and finishes. Inspiration is drawn from nature and the surrounding countryside of our home near Kingsbridge South Devon with each item individually designed, created and finished from a garden workshop on our small holding. 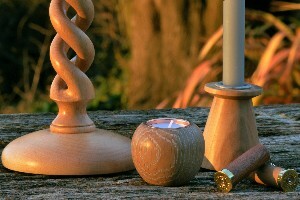 We pride ourselves on producing quality items and have over 20 years woodturning experience with equipment and knowledge being pasted down through three generations.